Teacher’s Comments: Lots of variety and challenges. 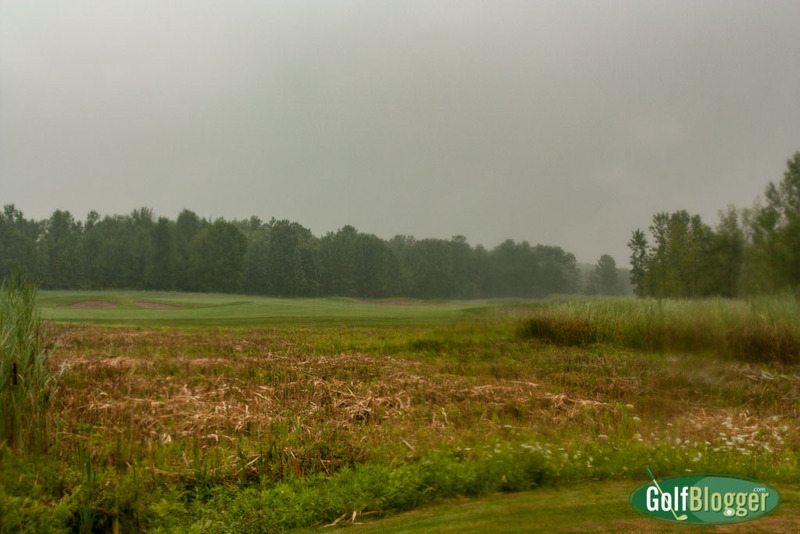 I played Turning Stone’s Shenendoah Golf Club in a driving rain and still had a lot of fun. That says something about this Rick Smith-designed course. Shenendoah is routed over varied, rolling terrain. The majority of the holes are open and bounded by prairie grasses (which had recently been mowed on my trip), but there are some that are wooded and playing through and near marsh. Several of the holes have elevation changes that require a club change. There is a lot going on at Shenendoah: Forced carries over waste and water. 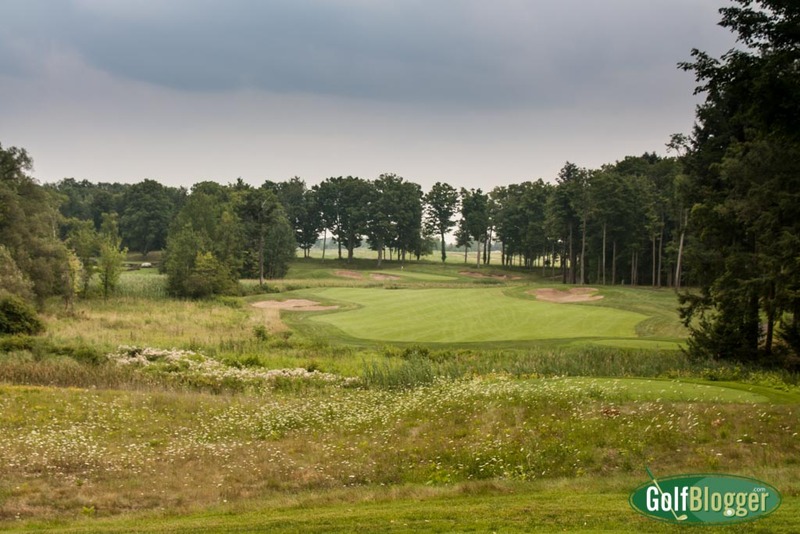 Seventy five bunkers — many along the fairways, and one smack dab in the middle. Mounding. Holes that require shaped shots. Doglegs. Elevated greens. Uphill shots. Downhill shots. Tight shots. Open shots. Bombers lanes. Target holes. If there’s a hole style you like, it’s probably here. If there’s a hole style you hate, it’s also probably here. I prefer tactical holes (plenty of those here), but dislike holes with no option but to carry a hazard off the tee (plenty of those, too). From the tips, Shenendoah stretches to 7, 129 yards and plays to a 75.1/146. The White tees come in at 6,328 and a more reasonable 70.6/134. It’s not an easy course, but I never felt as though I was being beaten up. Make sure you play the correct tees, though. There are a lot of forced carries. 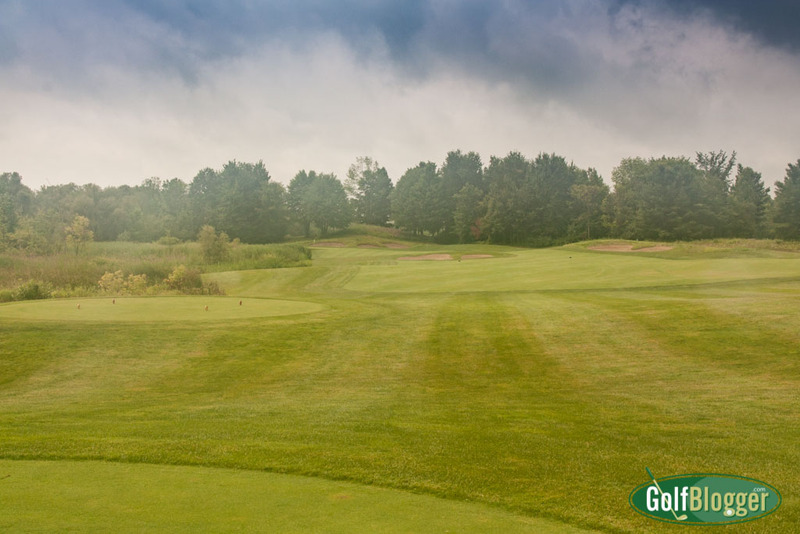 The different tees not only offer a change in distance, but also angles. My favorite hole was the short par four 15th, which measures 354 from the tips and 304 from the whites (where I played). Three hundred yards doesn’t seem like much of a challenge, but there are fairway tightening bunkers right at the point where most tee shots will land, and where the fairway turns suddenly left and uphill. Driving over the bunkers is a possibility, but is also a risk. Tactically speaking, the better choice is to land a tee shot short of the fairway bunkers, which will leave the ball 100 to 120 from the elevated green. The green long, narrow green runs at a nearly a ninety degree angle to the landing zone and is guarded left and right by bunkers. The left side of the green drops steeply to a swampy area. Given this, the best chance of getting on in regulation is to play the ball as far right as possible off the tee. That then offers a straight shot between the fairway and greenside bunkers. Conditions on the day I played were, as far as I could judge, top-notch. It was actually pretty hard to tell in the rain. Under dark skies, with water gathering in the fairways and on the greens is probably not the best way to judge a course. Still, my impression is that it is a very well-cared for course. Shenendoah is part of the Turning Stone Resort and Casino, a terrific entertainment complex located just north of Syracuse, New York. It’s one of three eighteen hole courses on the property. The resort has eleven restaurants, twelve nightlife and lounge spots, three spas and fitness centers, and a theatre which brings in top talent. There are 268 rooms in the hotel and more in the adjacent “Lodge.” I stayed at the Lodge in a 550 square foot suite. Amazing. Every meal I ate at Turning Stone was excellent, as were the drinks. The staff from the front door of the hotel to the “cart girl” on the course were uniformly friendly and helpful. This would be a great place to take your significant other for a weekend excursion. The raison d’etre of the facility, though is gambling. I’ve never been to Las Vegas, so I can’t compare Turning Stone to that, but I can say that it is exponentially more impressive than other Indian casinos I’ve visited. Everything about Turning Stone exuded a sense of class. 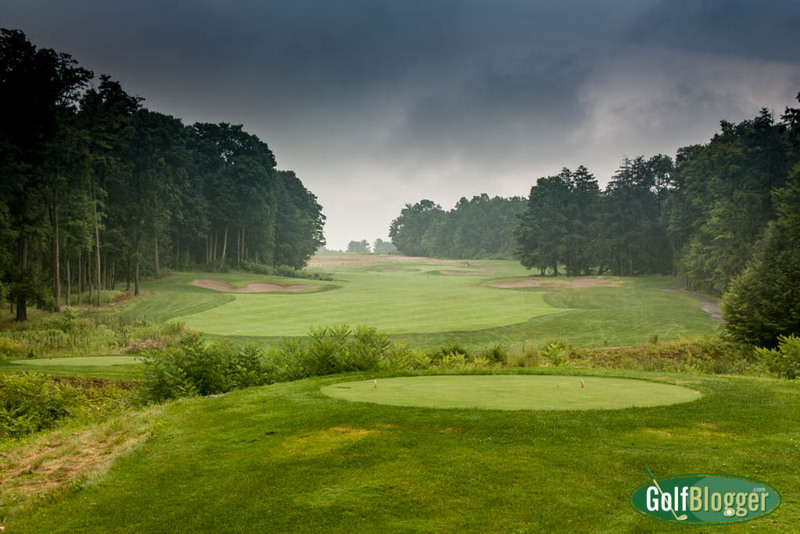 The Shenendoah Golf Course Review was first published August 20, 2015. Great review as always! Glad you liked the courses and had fun!